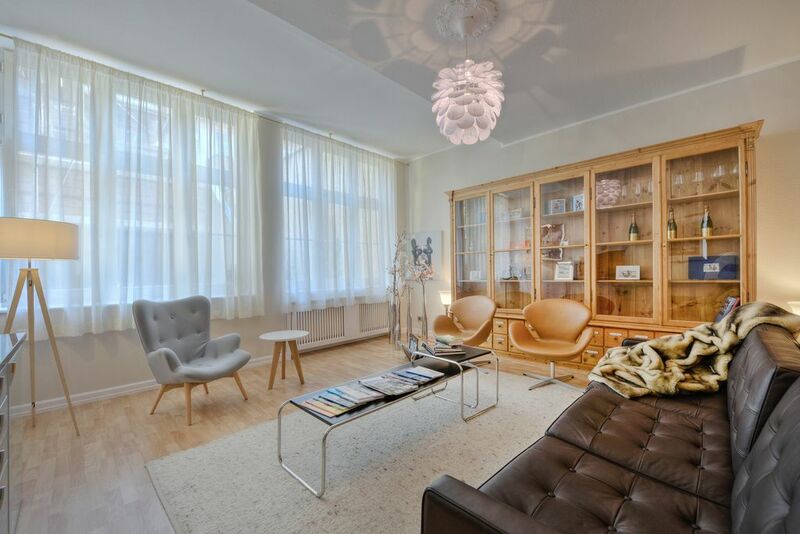 Chic design furnished apartment in the middle of Calrstadt. The Königsalle a street away and the Rhine promenade just a few minutes. Look forward to a peaceful getaway in the city's best camp. The apartment has everything you need to feel comfortable. Fully equipped kitchen, WiFi, 40 inch flat screen TV, bathroom with bath, weekly cleaning, bed linen and towels. The apartment is for a maximum of 2 persons.